Glory to you... AND YOUR HOUSE. 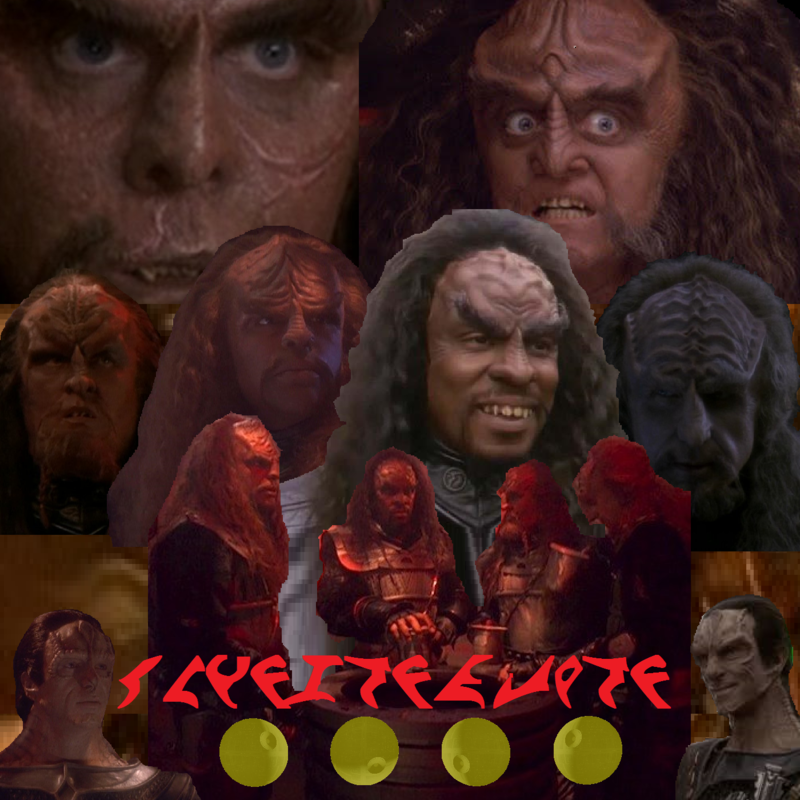 Boy, Gowron sure is a wild-eyed maniac, ain't he? Of course he is, but you love him anyway, just like you love listening to three wild-eyed maniacs talk about the season 5 premiere, Apocalypse Rising. RTW fan Derek Lavender joins us to talk about Odo, O'Brien, and Sisko playing Klingon dress-up, with varying levels of success. We're also diving into things like marsh melons (they ARE real! ), tumult behind the scenes of the Han Solo movie, and one DS9 actor's bewilderment at the Klingon makeup process. It's a super-sized ep you won't want to miss. To show your support for our friend Eliza Rickman's ambitious Pretty Little Head video, go to www.kickstarter.com and search for Pretty Little Head. Help her reach her goal!